Dental Cosmetic Spa in Coral Gables, Fl. As medical science continues to develop, medical experts are finding more and more links between specific health and dental problems. In fact, there are many studies being done to determine the link between dental plaque and cancer risks. 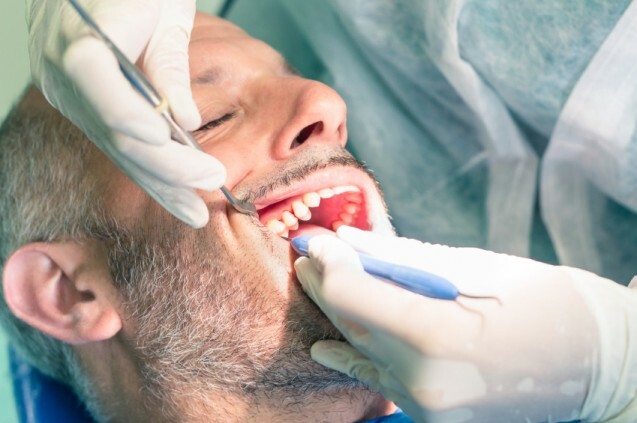 Although the relationship is observational at this time, most seem to agree, dental plaque can be a factor in carcinogenesis, or the creation of cancerous cells. There is also a definite link between dental plaque and the risk of an early death from cancer. Dental plaque contains many bacteria from the mouth, which can travel to other parts of the body. It is also believed that plaque may contain things like Human Papilloma Virus, Epstein Barr Virus, and several suspected agents associated with oral and other cancers. If any of these travel to other parts of the body, an inflammation response could happen. Women with dental plaque are more likely to develop breast cancer, likely due to this inflammation response. Up to 20% of all cancers are driven by some sort of inflammatory process. This process can trigger tumor pathways to form, causing cells to become precancerous or cancerous. With precancerous cells, the cell starts to divide more rapidly than a healthy cell, starting the development of a tumor. In the case of a traveling oral bacteria, this can cause a cancer to develop wherever that bacteria stops. There is also a link between heavy dental plaques and premature death from cancer. A study done at the University of Helsinki found that people with lots of plaque were 80% more likely to have an early death from cancer than people with very little plaque. All other factors aside, these patients were expected to live 8-13 years longer at the time of diagnosis than they did. All of this drives home the advice given by parents for many years, brush your teeth. Good oral hygiene practices can help stave off cancers, and help one live longer. Learn proper hygiene, early detection and much more. Join our V.I.P. Program to receive benefits and discounts. © 2014. All Rights Reserved. Dental Cosmetic Spa.